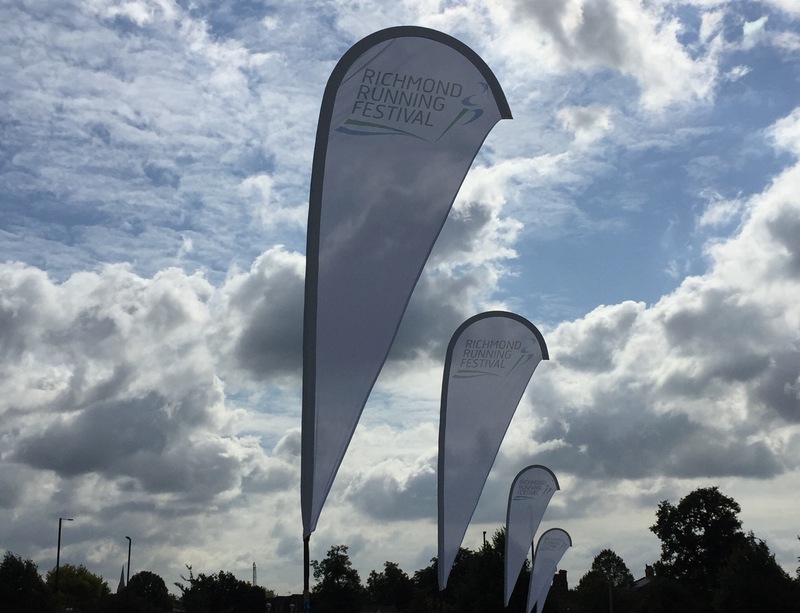 The Richmond Running Festival is hands-down one of my favourite running events. 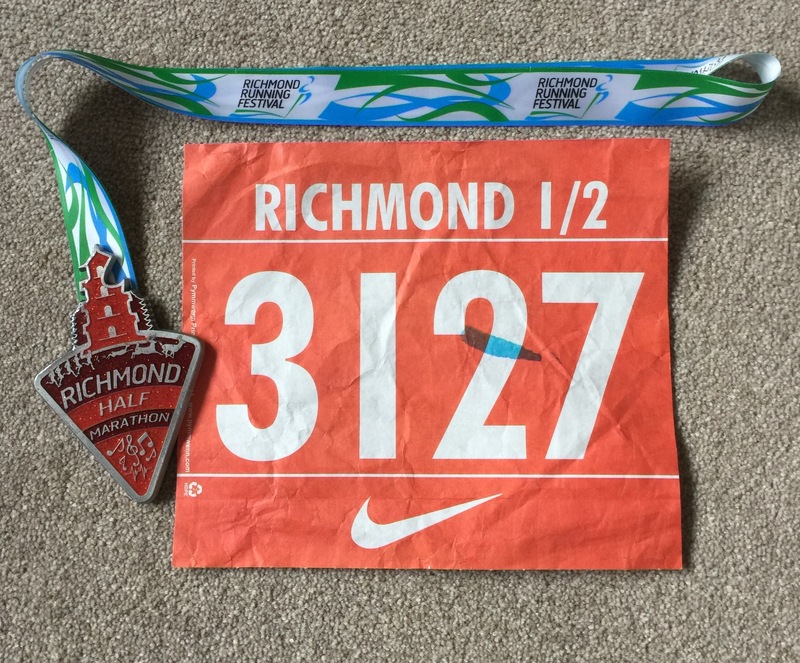 Starting in the Royal Botanic Kew Gardens and taking runners of a scenic tour of Richmond towpaths, park trails and wooded landscape, the route is truly the best multi-terrain course I have run. 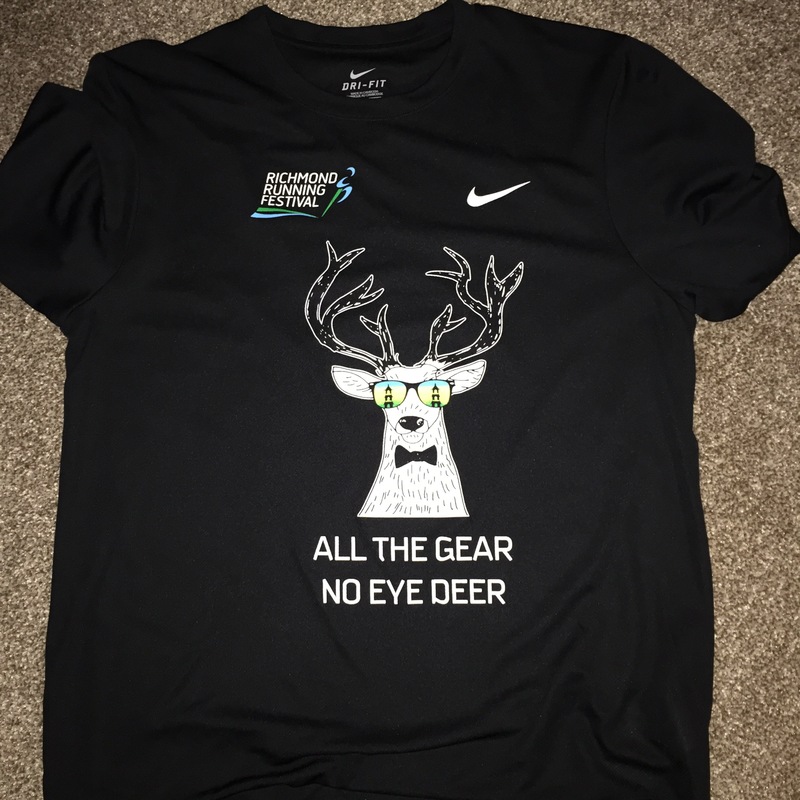 Having only engaged in low mileage for the past few weeks, I was not looking to race this event, and instead enjoy the run and scenic views. I arrived at Kew Gardens at 8:30, in good time for the 9:10 start. After a brief 1km warm-up jog and few dynamic stretches, I made my way over to the start line. I met-up with Mark and Dan there. 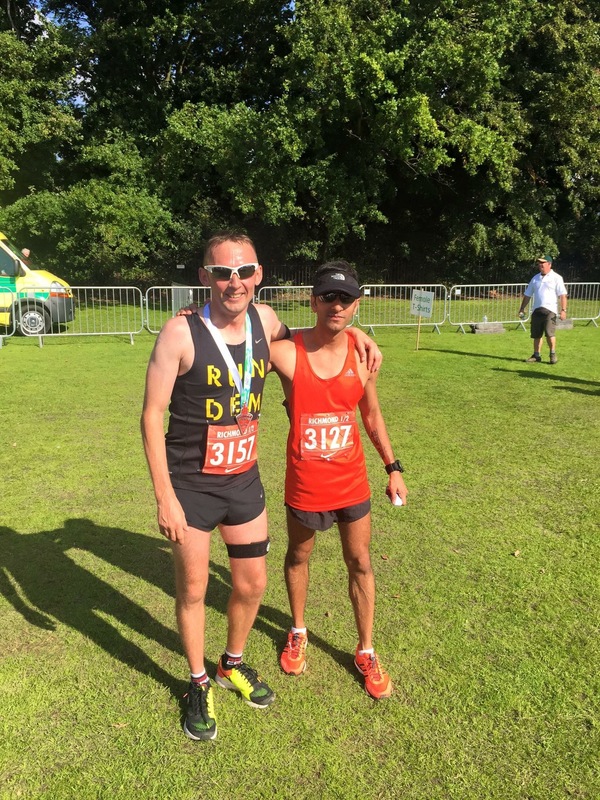 Like me, Mark was planing to take the run easy and enjoy the atmosphere, and Dan was hoping to get a PB and break the 1:35 mark. As we set off conservatively, my legs felt pretty good. Breathing was relaxed, and knocking out, on average, 4min 20sec kilometres felt very comfortable. Mark and I were having on and off chats throughout, which helped me during the run, particularly after 10 miles. Having not run anything beyond 10 miles since May, I was a little concerned about keeping the pace, but I think that we did a good job of keeping the splits consistent. As expected, the views were lovely and the weather turned out to be perfect. The sun was out, but it didn’t feel too hot and race conditions were optimal. I’ve mentioned this before and will say it again; Richmond is probably not the best place to get a PB. The gravel towpaths can throw people off, and you really do need to watch your footing. I was pleasantly surprised with seeing multiple warning boards before towpath areas saying something like, “Warning: uneven surface!”, which would be good for anyone not familiar with the area, and a good reminder in general. The route can get quite narrow in particular segments, which may be a problem when there are a lot of runners. I should also add that there were ample (I counted 4) water stations on the course; more than enough for a half marathon. One electrolyte station was also there, too, although I’m personally content with just plain water for a half. 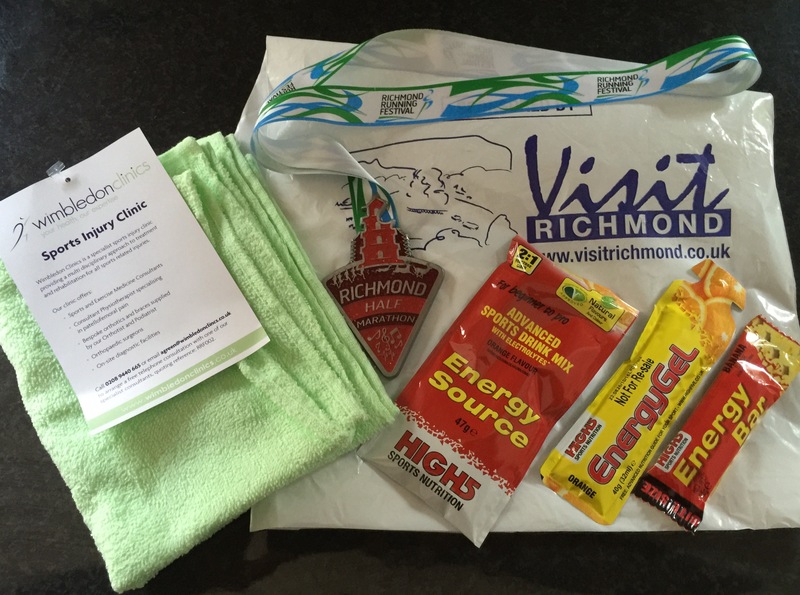 Fast forward, and I finally reached the entrance to Richmond Park just after mile 12. The route had been changed slightly this year, notably the last mile, which now was entirely within the confines of the Park. I really enjoyed this, as we had massive crowd support here, as well as getting to run past the stage where a live band was playing. My left calf began to cramp slightly during the home straight, so no sprint finish today. 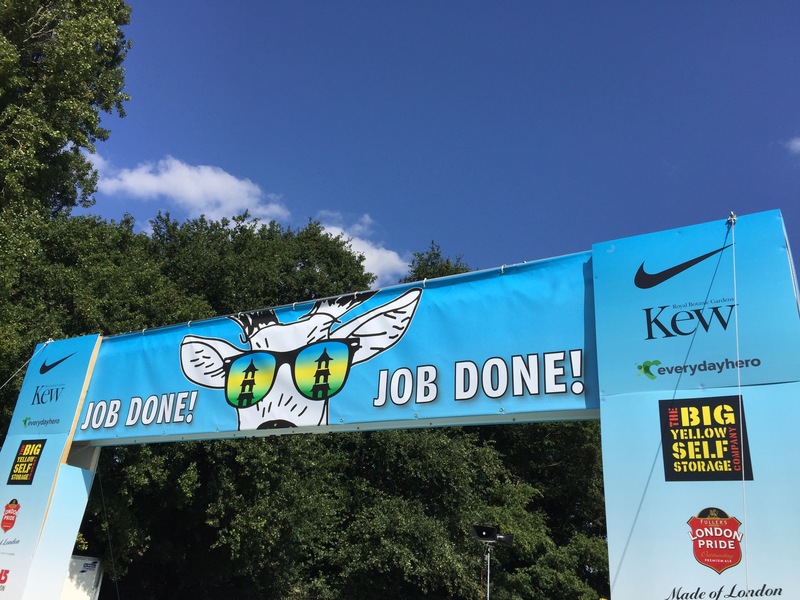 I crossed the finish line with a chip time of 1:31:15, some 8 minutes off my PB. 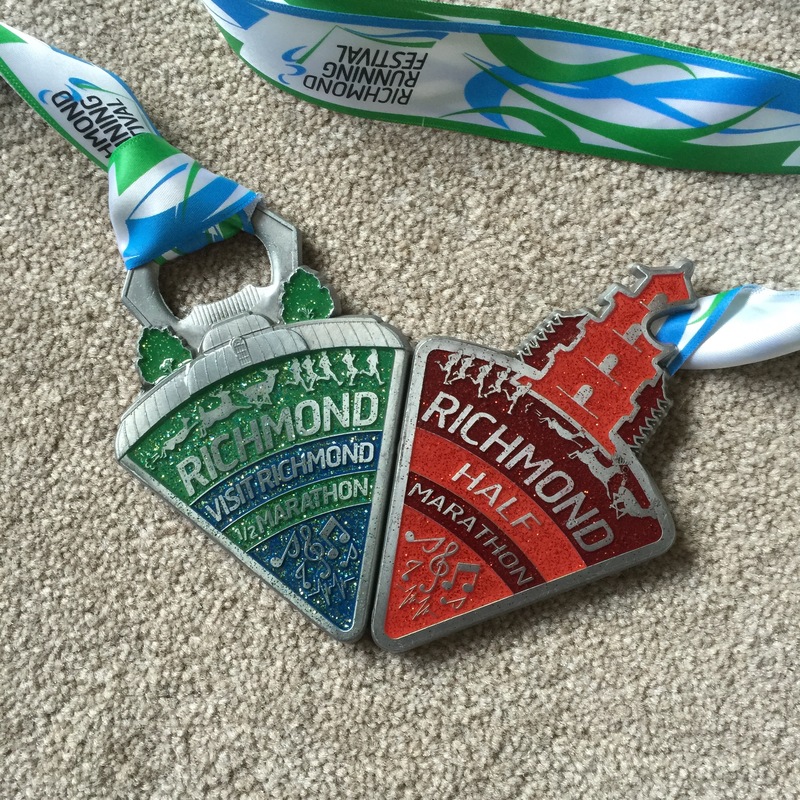 Following the run, I collected my medal (part 2 of the pie!). We also saw Pete Chapman at the finish, who ran the 10k and also had an awesome run with a PB in 45 minutes. He kindly took a snap of us fresh after the race. 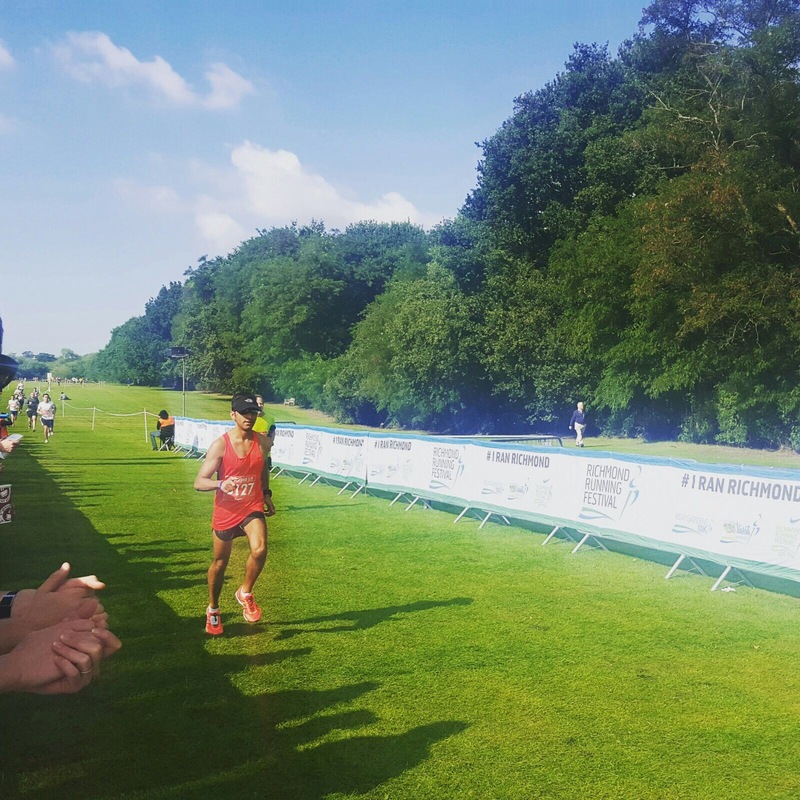 Great to also see that Dan smashed his target by finishing in 1:33!